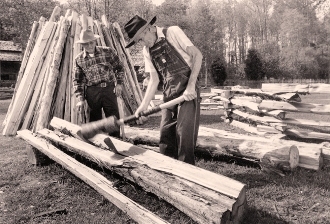 Our Mission: The Museum of Appalachia seeks not only to preserve the physical artifacts of an earlier time; our greater mission is to instill in the community— regionally, nationally, and internationally—a greater knowledge of and appreciation for the Appalachian heritage. The Museum offers daily self-guided tours and is available for group and school tours, educational programs, weddings, parties, corporate events, facility rentals, and more. The Museum of Appalachia, founded in 1969 by John Rice Irwin, portrays an authentic mountain farm and pioneer village, with some three dozen historic log structures, several exhibit buildings filled with thousands of authentic Appalachian artifacts, multiple gardens and free range farm animals, all set in a picturesque venue and surrounded by split-rail fences. There are over 250,000 artifacts are housed in 3 multi-story exhibit buildings; vast collections of folk art, musical instruments, baskets, quilts, Native American artifacts, and much more. This unique collection of pioneer buildings and artifacts was amassed over half a century by John Rice Irwin. He traveled back roads and collected thousands of everyday items from the colorful mountain folk of Southern Appalachia. The Museum was granted permanent status as a 501(c)3 nonprofitorganization in April 2003, ensuring its long‐term sustainability. It now operates under a Board of Directors, whose esteemed members collectively hold a significant number of years’ experience in private, non‐profit and government business sectors. 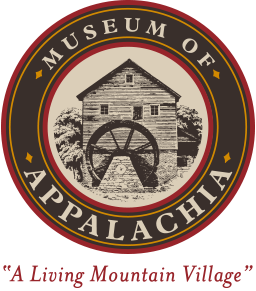 In May 2007, the Museum of Appalachia was accepted as a Smithsonian Affiliate. The Museum is committed to stewardship of historic buildings and collections, and to the education of the public about our Appalachian history and heritage. It tells the stories of the Appalachian pioneers—in their own words on signs throughout the Museum, and through the artifacts they left behind. Some 100,000 visitors, including over 7,000 schoolchildren visit the Museum annually. Visitors come from across the United States as well as several foreign countries. Today the Museum focuses on the preservation of its massive collection and the development of educational programs to enhance its mission to inform and entertain visitors while “preserving the past for the future”. It continues a limited program of expansion and growth, adding occasional new exhibits and buildings.